Crowd Data Center is a deployment option specifically designed to support the unique and complex requirements of enterprise organizations, where Crowd is central to the authentication and user management infrastructure. It's currently available for Crowd 3.0, or later. This page provides resources related to Data Center, as well as a high-level introduction to how it works. 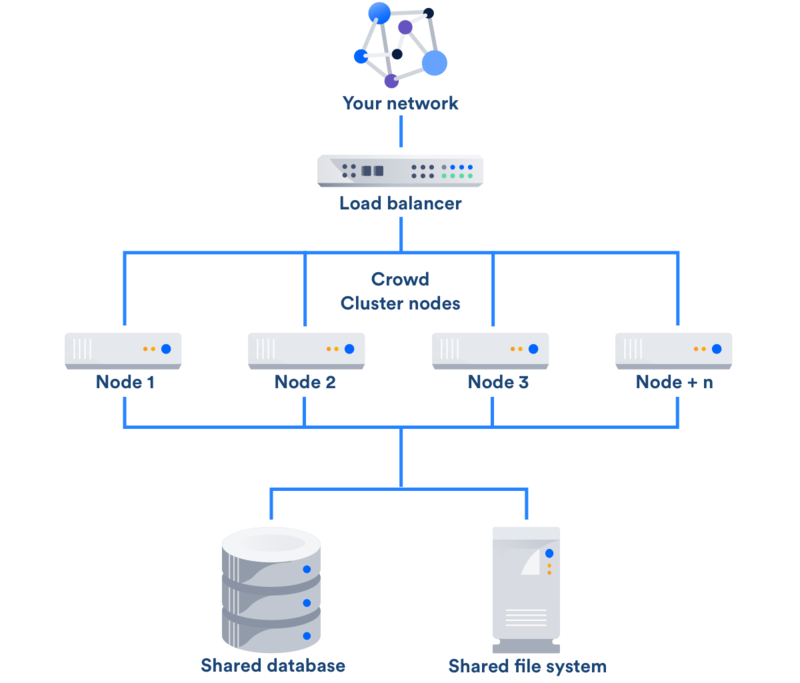 High availability and failover – If one cluster node goes down, then the remaining cluster nodes can continue servicing requests so that users have uninterrupted access to Crowd, and other systems connected to it. Instant scalability – You can rapidly provision extra capacity with no downtime. Data Center supports the same databases that are supported for Crowd Server. It also supports any shared file system, which stores: import/export files, plugins, shared caches, and any data directory which includes attachments, avatars and icons.